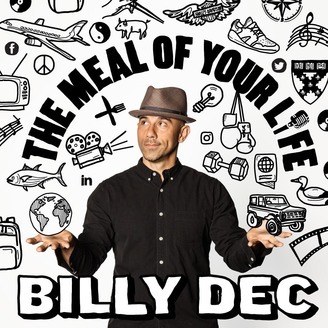 The Meal of Your Life is a Podcast by two-time Emmy Award-winning TV Personality, Actor, Entrepreneur, Restaurateur, and CEO/Founder of award-winning hospitality company, Rockit Ranch, Billy Dec. 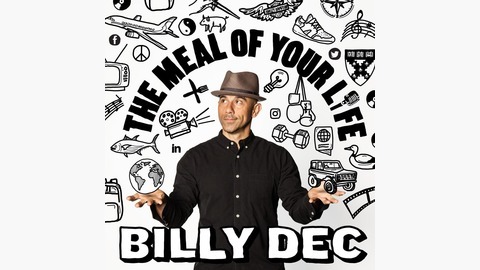 In each episode of The Meal of Your Life, Billy welcomes a uniquely distinguished and dynamically unforgettable guest, from celebrities to athletes, renowned chefs to intellectuals, politicians to everyday people, and invites listeners to join in on an intimate conversation surrounding the defining meal that forever impacted their life. James Beard Award-Winning TV Personality, Co-Creator/Host of Bizarre Foods, Chef, Food Writer, Andrew Zimmern, chats with Billy about the differences and similarities in meal experiences around the world, challenges within the restaurant world, how they met up in Namibia for a super memorable meal, and Andrew's amazing story on how he hit rock bottom and built himself back up to be the successful and positive person he is today.